Alba and Bush brands set for relaunch by Argos | What Hi-Fi? 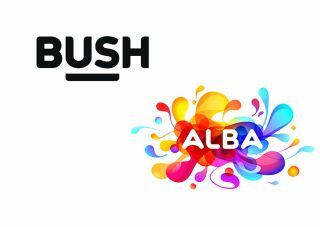 Bush and Alba, two of the UK’s oldest electronics brands, are being relaunched this month. The Home Retail Group (of Argos and Homebase fame) will release a whole new range of Alba and Bush products designed to attract a new audience. The Bush brand will be divided into two lines: Bush and Bush Classic. The Bush range will have cut-price takes on the latest tech. This includes a 55in smart TV for £550, and a 58in 4K Ultra HD TV for £800. On the audio front, all-in-one micro systems begin at £40. Other products in the Bush range include a 10in 32GB Windows tablet and keyboard (£170), and a SIM-free 4G Windows phone (£60). Meanwhile, the Bush Classic brand will go for nostalgia. Expect retro styled products like 50s-style FM radios and refrigerators. As for Alba, things have changed since it came along 98 years ago. Now it’s being aimed at a younger crowd. Both brands have freshly redesigned logos and packaging.